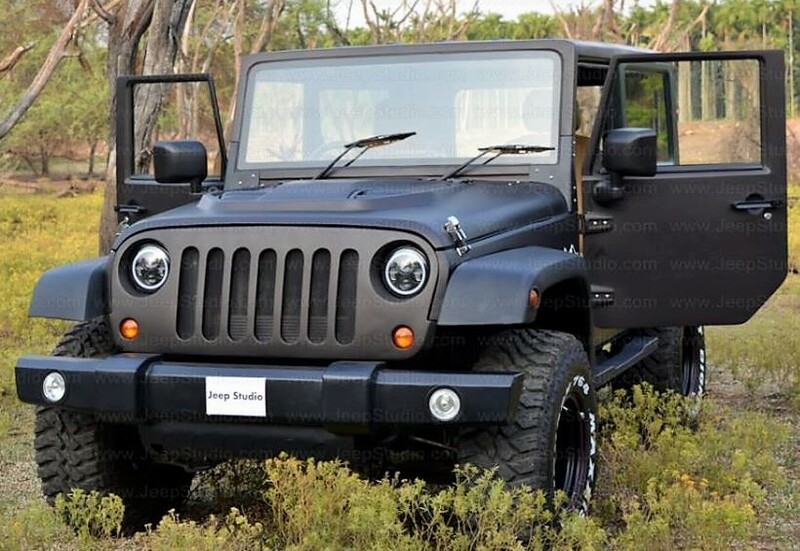 Perfectly Modified Mahindra Thar by Jeep Studio: Thar is the closest cousin that Jeep Wrangler could get in the Indian car market. 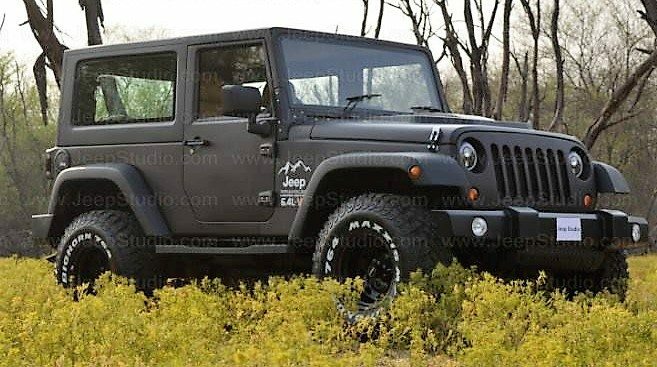 When comparing the prices for both of them, one could say that Thar is actually a value for money product within off-road universe. 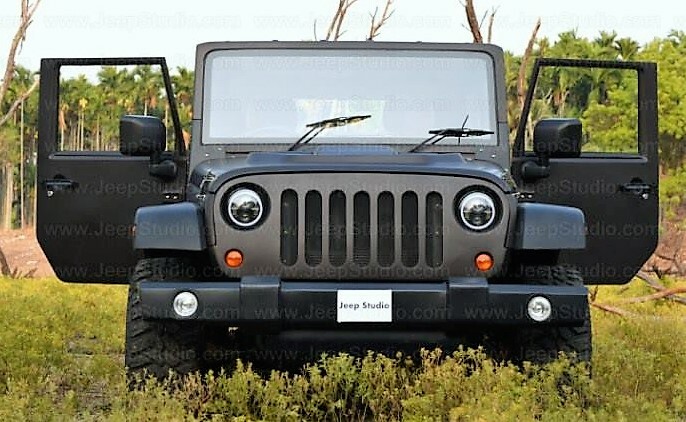 Jeep Studio, a Coimbatore based modifier, recently worked on one brand new Mahindra Thar and brought this beautiful product at the end. 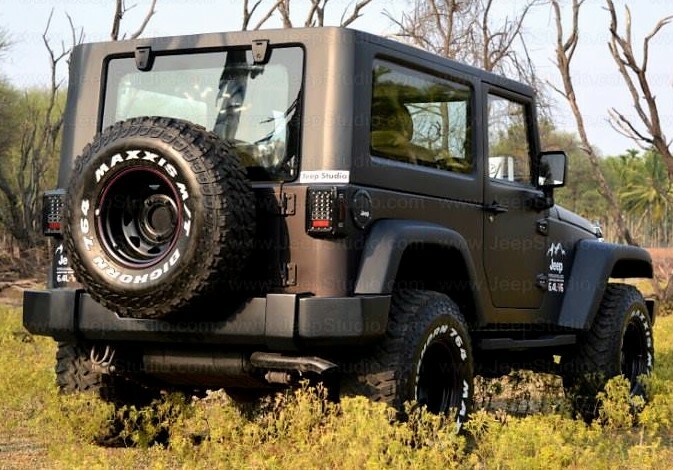 Their customer is a big fan of Jeep Wrangler and transforming Mahindra Thar into Wrangler took lot more than just putting new parts on those existing panels. 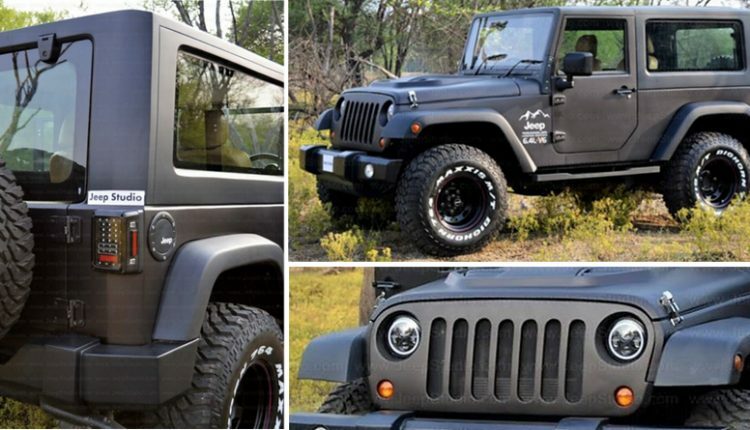 It was a deep study based on the architecture of both Thar and three door Wrangler that helped them achieve perfection in the final design. Not even a single change was made in such a way that it would have made servicing the vehicle tough for Mahindra dealerships. All parts around the engine bay were kept stock as that would have helped the customer get easy spares in case of an emergency. Still, biggest change was the addition of metal roof that runs right from Thars windshield to the end. Apart from the front glass windows, a non-movable and toughened glass window was used for the rear section. 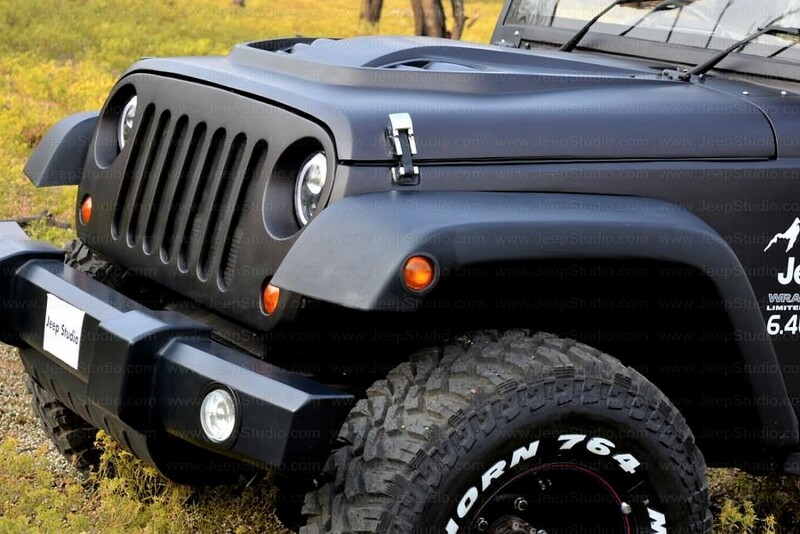 Rear view mirrors were borrowed from an actual Jeep Wrangler while interior for given a premium finish for enhanced driving feel. 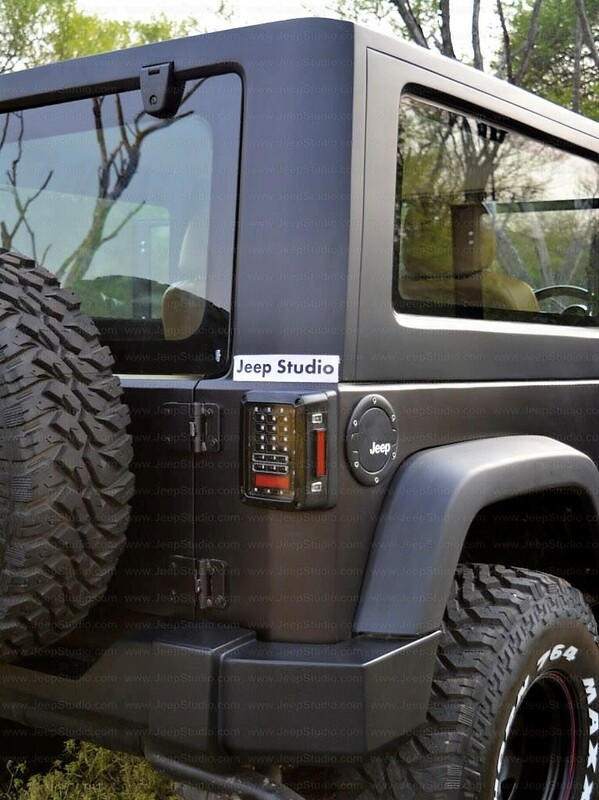 Front and rear lights were replaced with LED units while a complete front-end transformation was given for that premium Jeep feel. 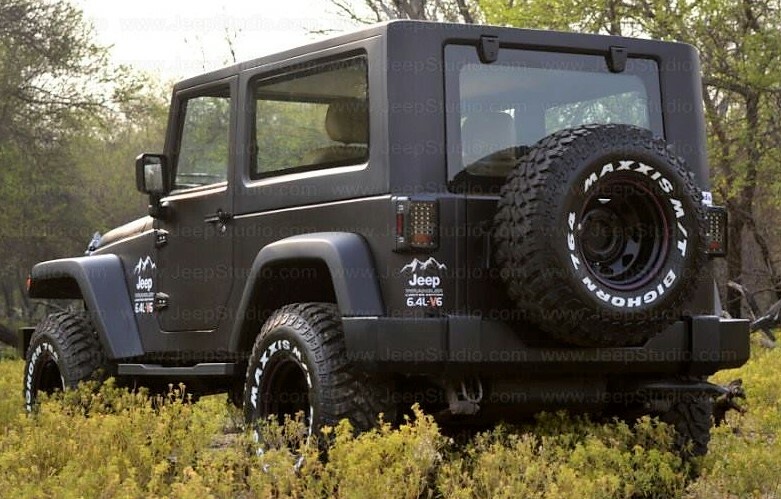 Maxxis off-road tyres further helped this Thar gain more muscle during its transformation. Apart from the donor Thar, one will need to pay INR 6.50 lakh to Keep Studio in order to get all these changes. 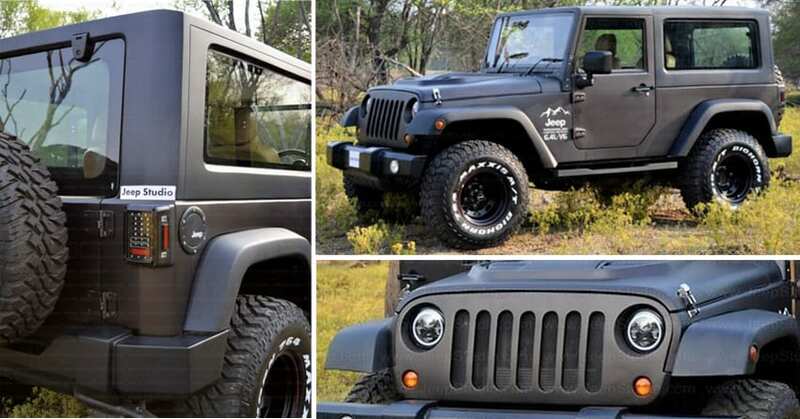 They left the engine and performance section untouched for exclusive Mahindra Thar style riding. The car comes with a 2498cc, four cylinder turbo diesel engine producing 105 BHP and 247 Nm of torque. The engine comes mated to a 5-speed gearbox while 4×4 comes as standard on the top spec car.